At the mouth of the Romana River, the port of La Romana in the Dominican Republic boasts the ability to get turnaround passengers off the airplane and to the ship in impressive time. Embarking passengers can bypass customs and immigration and be at the ship in 12 minutes, port officials said. During the 2017-2018 season, homeport customers included AIDA, TUI and Marella, as well as partial turns for the Costa Pacifica. Business has been relatively steady in recent years with a dip in 2017-2018 as the Pullmantur Zenith changed operations to Santo Domingo to meet a Saturday schedule. La Romana will see 395,232 passengers on 138 calls this season, down from 462,880 passengers on 160 calls. About 50 miles east of Santo Domingo, La Romana also has 34 separate tour offerings. The port and international airport are owned and operated by the Central Romana Corporation. The airport was completed in 2000 followed by two cruise berths in 2002. The wharf on the east side of the river can accommodate a 350-meter ship with a 45-meter beam, and the western side can handle a 250-meter ship with a 30-meter beam. Two other ships can anchor nearby, one at Catalina Island and another in front of the Casa de Campo golf resort. 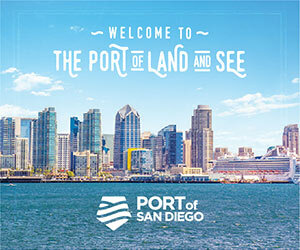 Andres Fernandez, commercial director for the seaport and airport, said the port is looking to grow significantly to meet expected demand from larger ships and more vessels overall. Learn more about the Caribbean as the region is seeing a record year of cruise traffic. Download the free Caribbean Cruise Trends Report today.